Volunteers Kirk Hallowell, left, and Dave Lawson use drip torches to ignite a prescribed burn. During each burn, non-native plants are removed, allowing prairie plants more nutrients and room to grow. 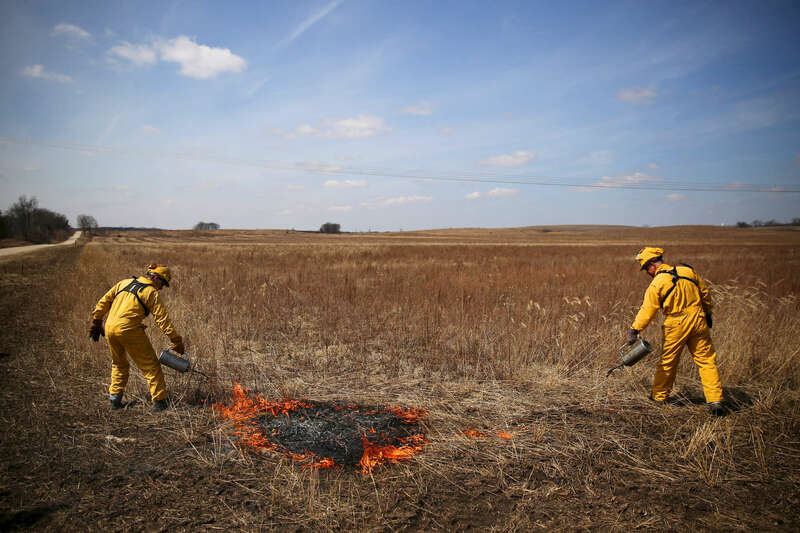 A prescribed burn is a crucial component in prairie restoration.